It took a while to get from idea, to design to having the first sample in our hands. 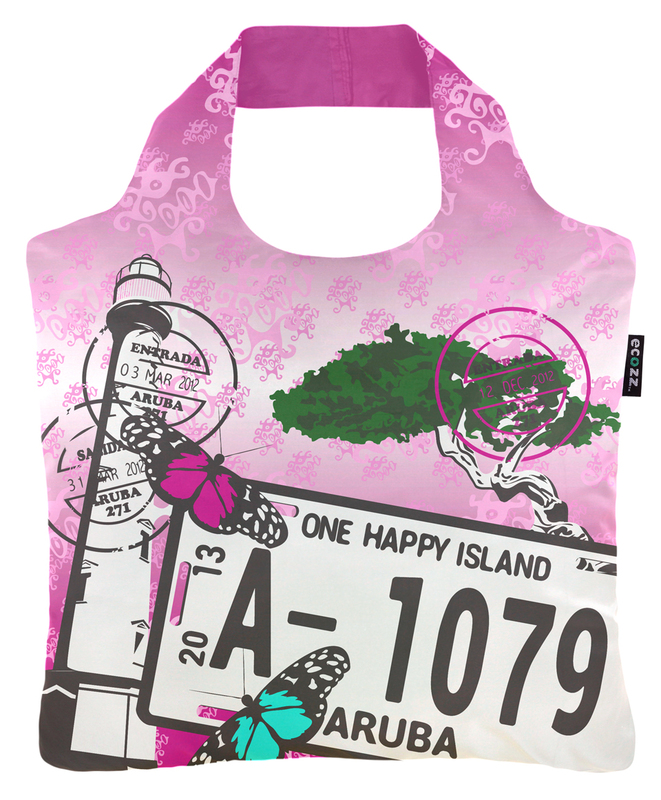 But here it is, we are proud to present the first Aruba Reusable Shopping Bag. Our mission is to raise awareness and contribute to the greening of Aruba’s tourism sector and this is our first project. It’s great for groceries, the beach, traveling or sports. It also has zipper closing and can carry up to 44 lbs, that’s 20 kilograms! This reusable bag carries a lot and goes a long way. Not only is it water resistant, it’s also fully washable. The sublimation prints will never fade. The Aruba Reusable Bag is ethically made from recycled plastic bottles (rPET) and is 100% recyclable. Besides it’s practicality it’s also a great remembrance of the beautiful island of Aruba. We are open to any kind of feedback, so please let us know what you think about us or our products! The Aruba Reusable Shopping Bag is made possible through a collaboration with ECOZZ Benelux. We ship worldwide and you can safely pay via PayPal (account not necessary). Great idea…LOVED YOUR ISLAND and will return soon…Stayed at the Divi…..loved every minute!! Thanks for your kind words about our island and your vote of confidence in The Aruba Reusable Shopping Bag! Hi Linda, we tested it and it works perfectly. Maybe it has something to do with your browser settings? Cookies must be turned on/accepted for the payment system to work.